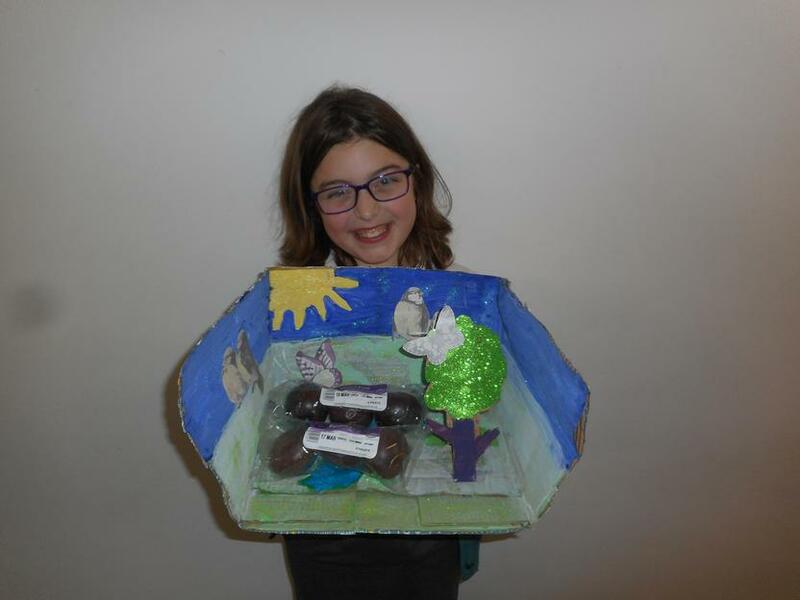 Sarah made a super model of The Amazon Rainforest. She has included birds and butterflies in her scene. She also brought in some Brazilian passion fruits for us to taste. 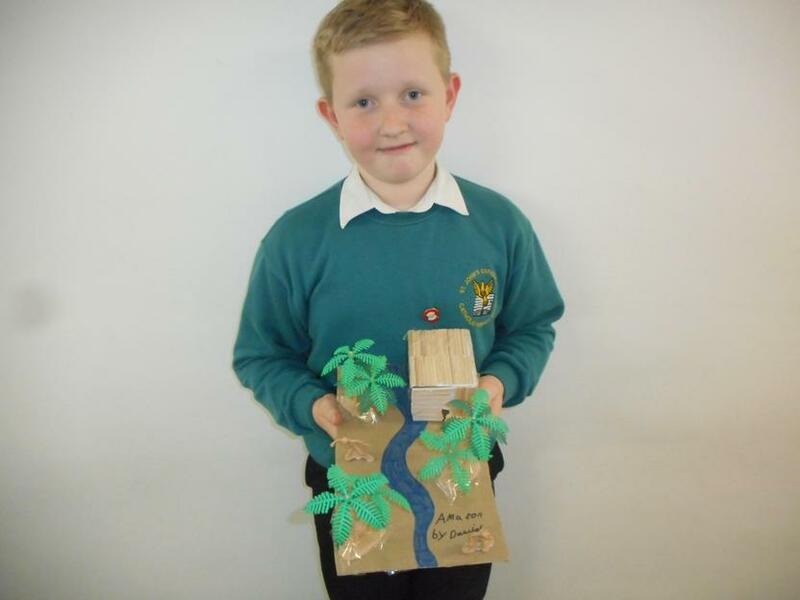 Dawid has made a brilliant model of the Rainforest. He made the hut from a box covered in matchsticks. It looks so realistic! 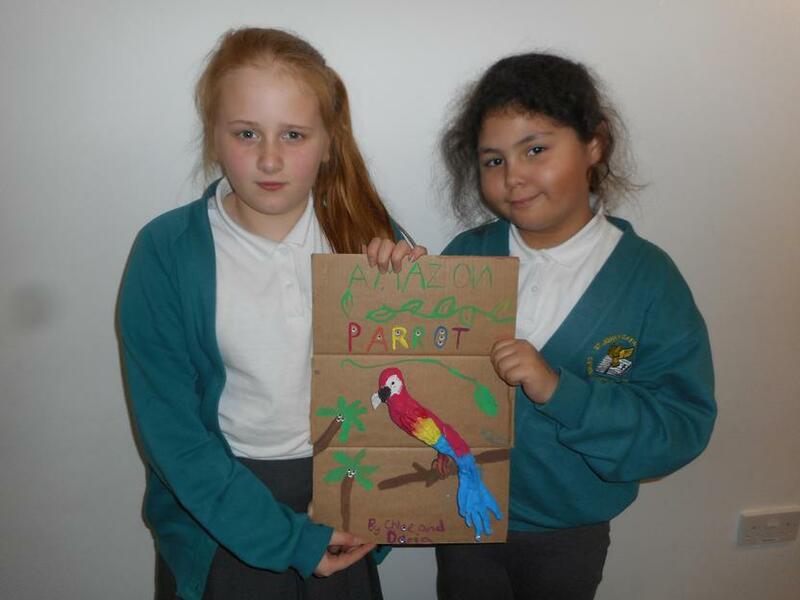 Chloe and Daria carefully made this picture using clay and paints. 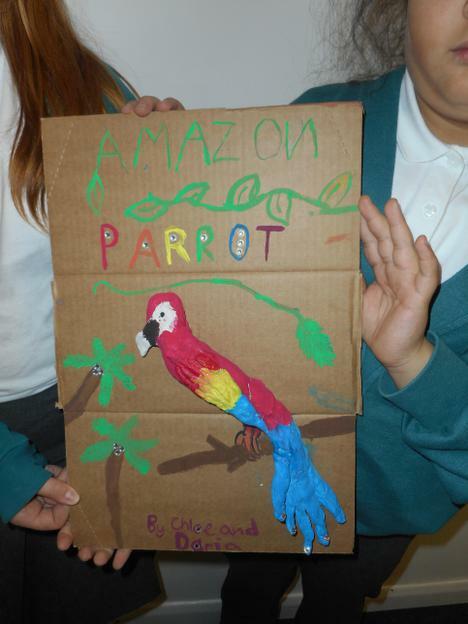 I shows how colourful the birds in the Rainforest are. 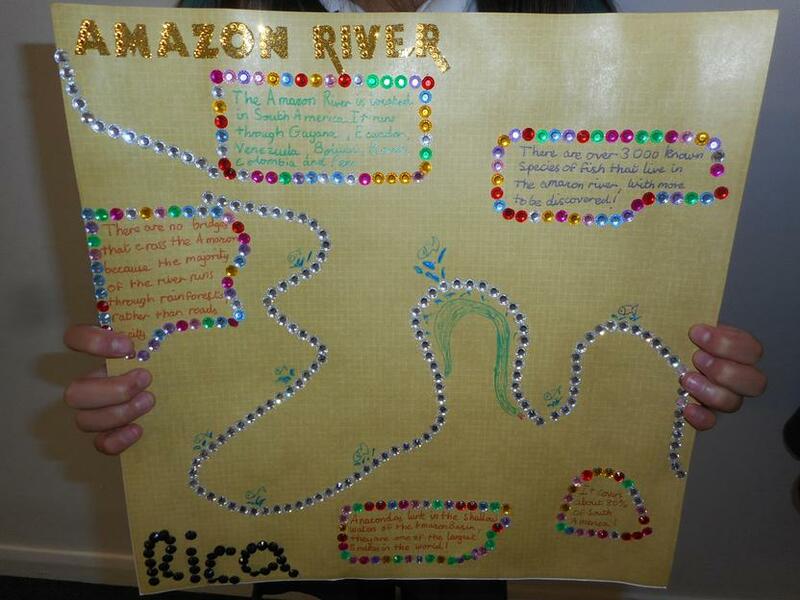 Have a look at Rica's amazing picture of the River Amazon. She has decorated it using pretty sequins. 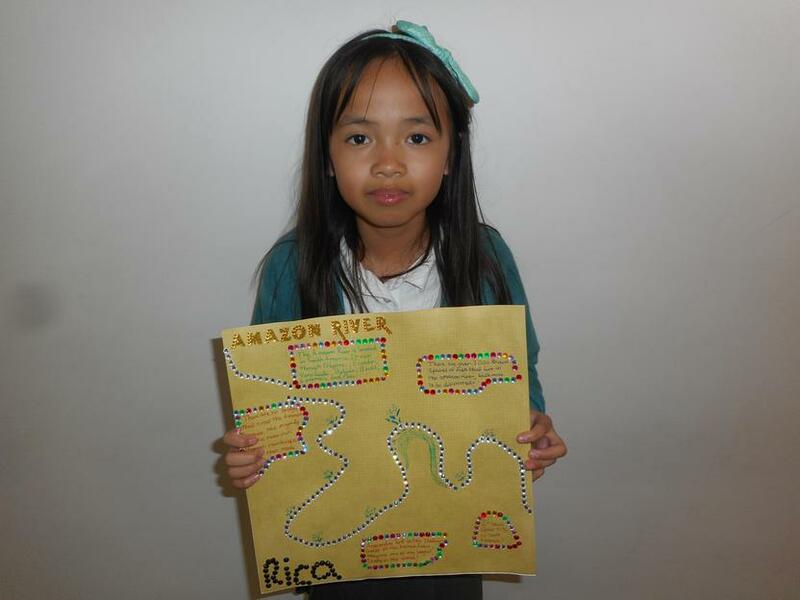 We learnt lots of interesting facts about the river when she shared her homework. 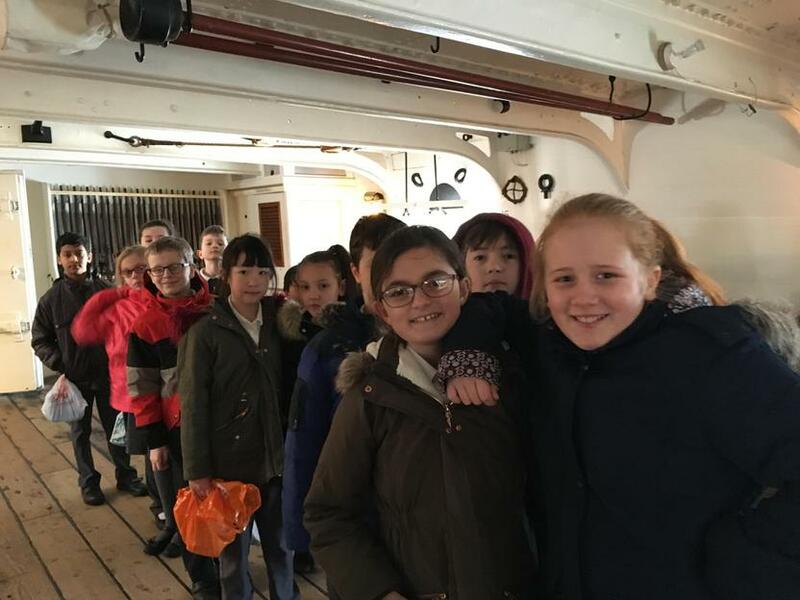 Some of our Year 5 spent the day at the Dockyard, experiencing life at sea and life among the stars. 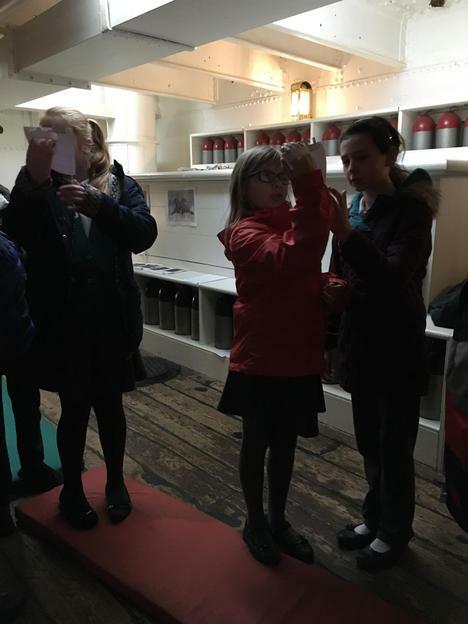 They had a fantastic, practical, hands on experience of navigating at sea, rocket making and an amazing experience in the Astrodome. 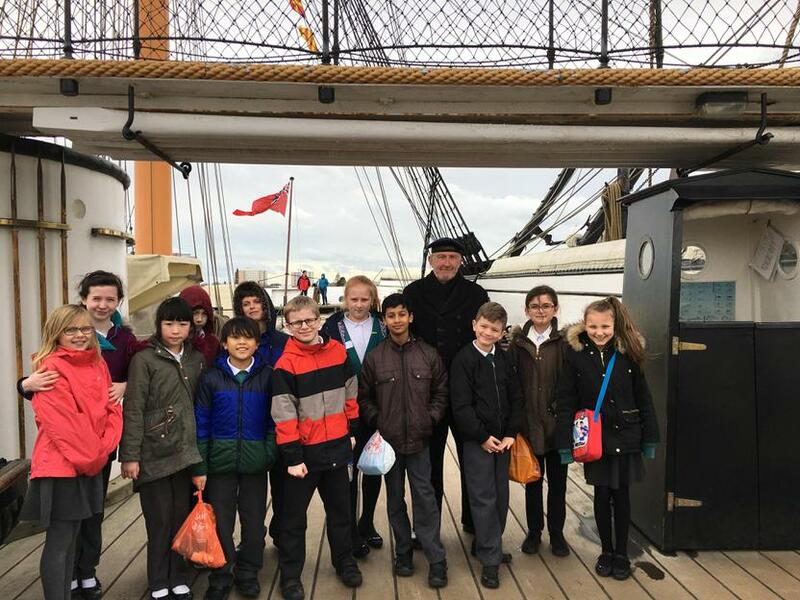 A huge thank you to Portsmouth University and the staff at the Dockyard for devising such a fantastic action packed day. 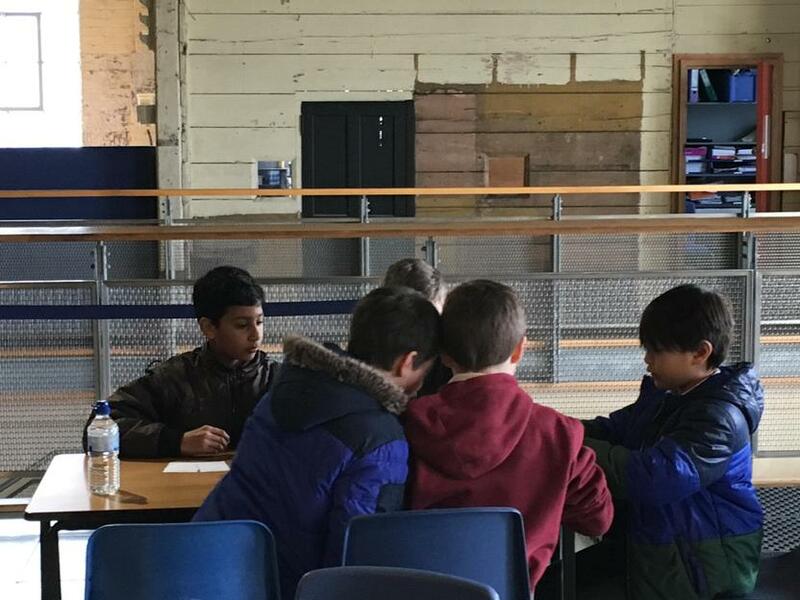 Year 5 went to London to visit The Science Museum. 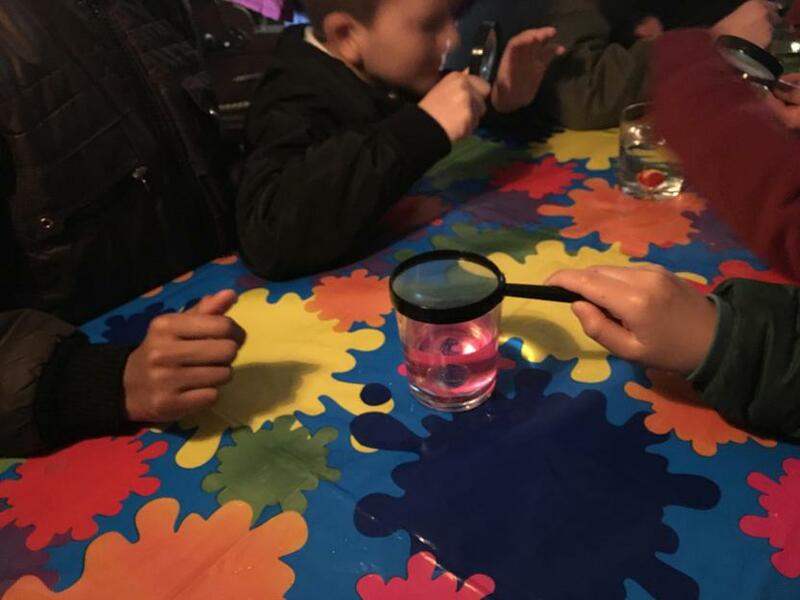 The trip supported our learning about Super Scientists. 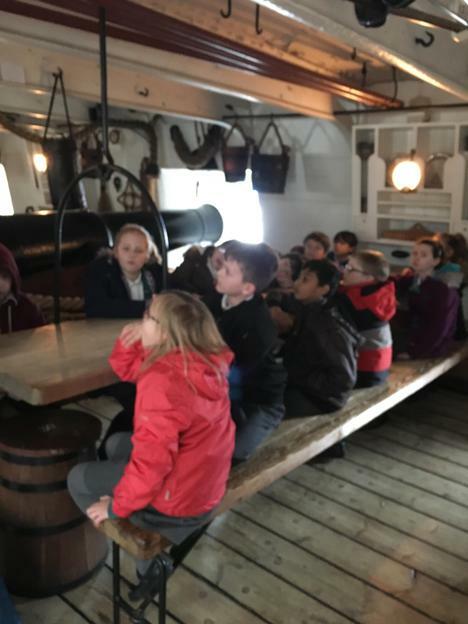 We were able to see some of their famous discoveries first hand. 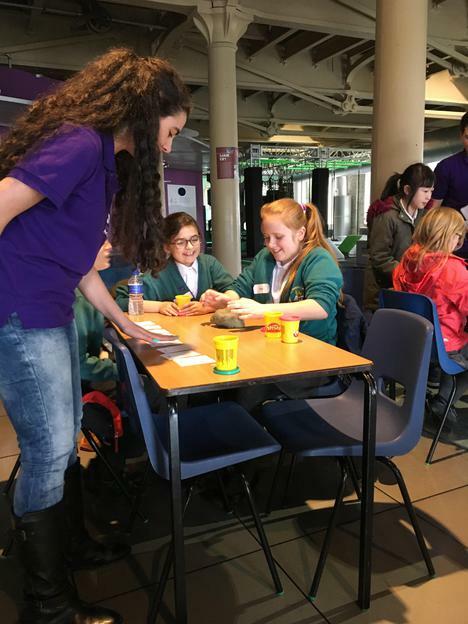 We all enjoyed the interactive displays and the highlight was seeing Tim Peake’s Space Capsule! The girls made a brilliant solar system cake....yummy! Oliwier produced a great fact book. Dat made a wonderful space scene showing all the planets in their orbit. Look at Destiny's space model - it's amazing! 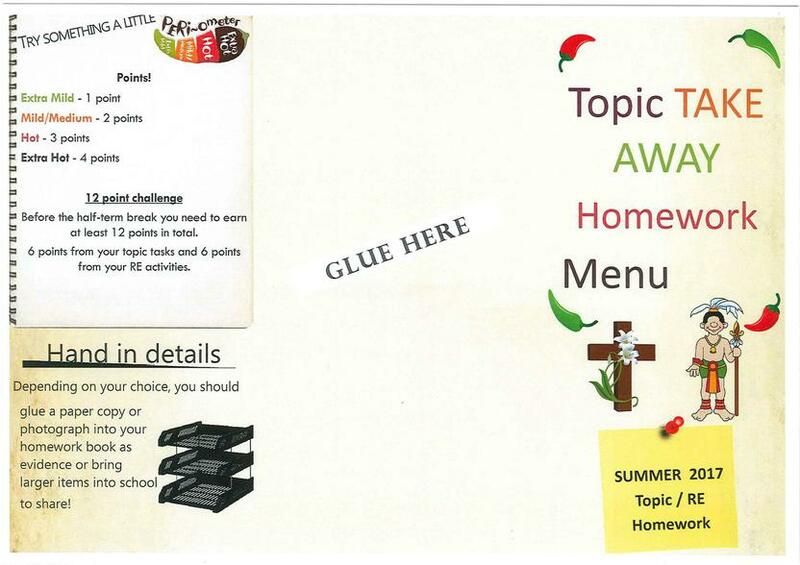 Rica did a beautiful collage for Creation. Jasmin cooked some delicious kebabs. She also drew and coloured the planets in order. 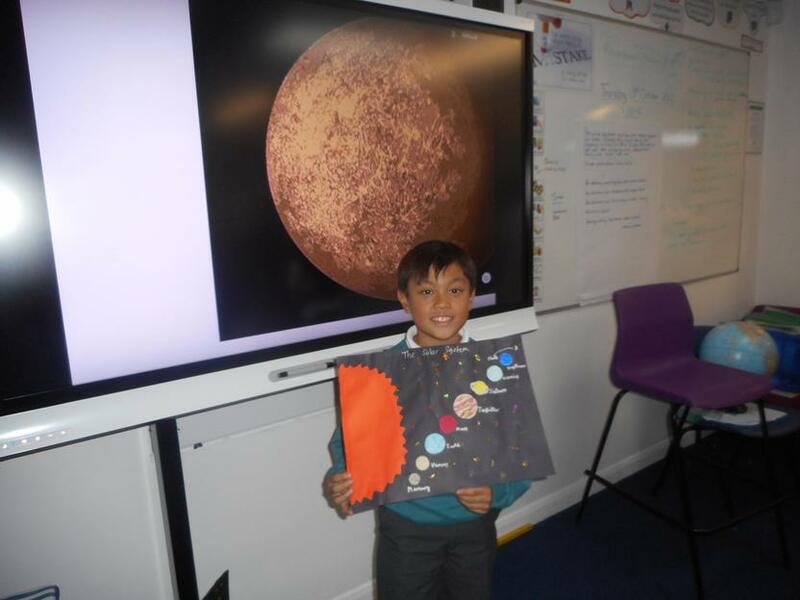 Take a look at Freddie's PowerPoint all about the planets. Bethany worked hard on her drawing of the solar system. Henry taught us a lot about the Hindu God Shiva. Erin made a lovely collage of the planets. 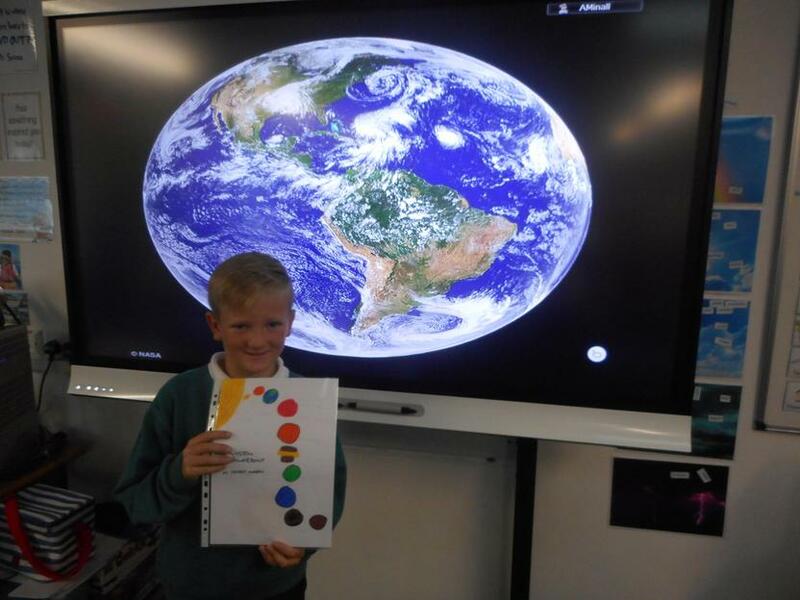 Reece was proud of his Solar System research. 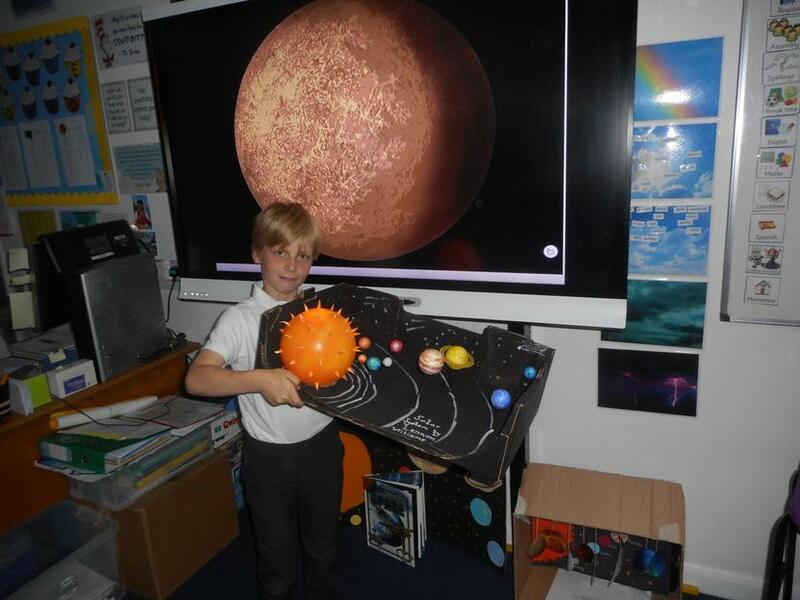 Year 5 have been learning about the Earth, Sun, Moon and our Solar System. 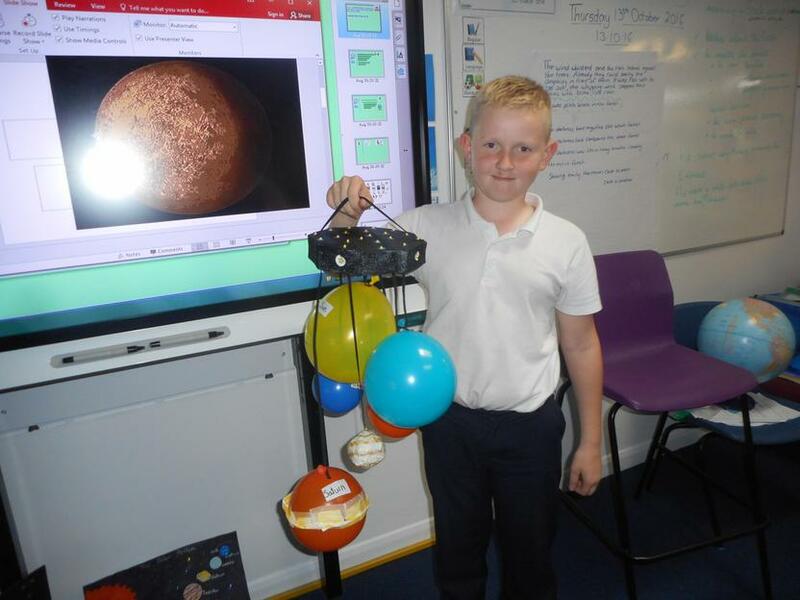 It has been an exciting Science topic and some of the boys have produced some fantastic homework about the planets. Arantes gave us an interesting talk about the planets in our Solar System. 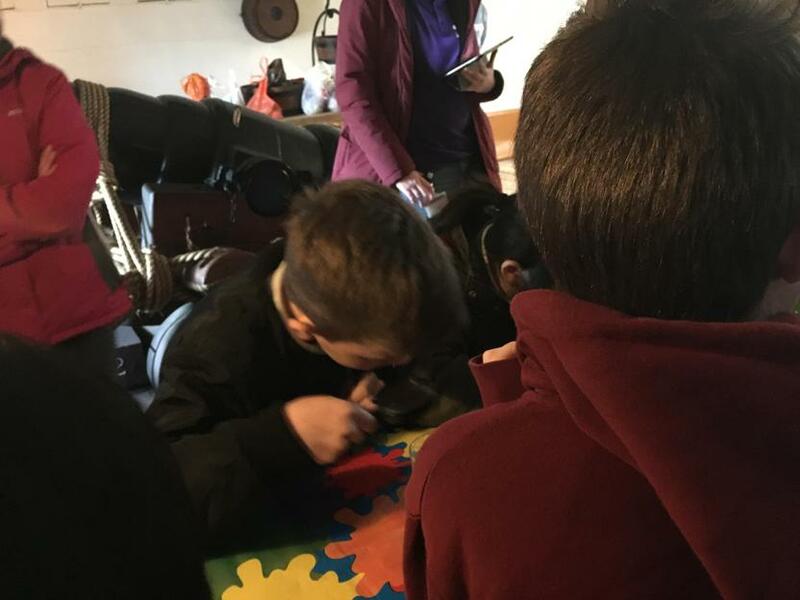 Oliwier worked hard on his Space themed artwork. 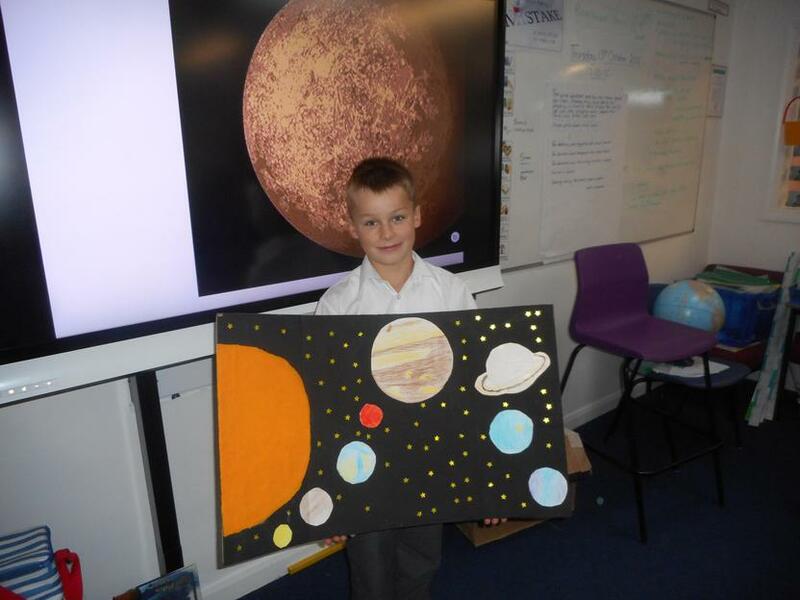 Miguel carefully ordered the planets on his artwork and researched the colour of each one. 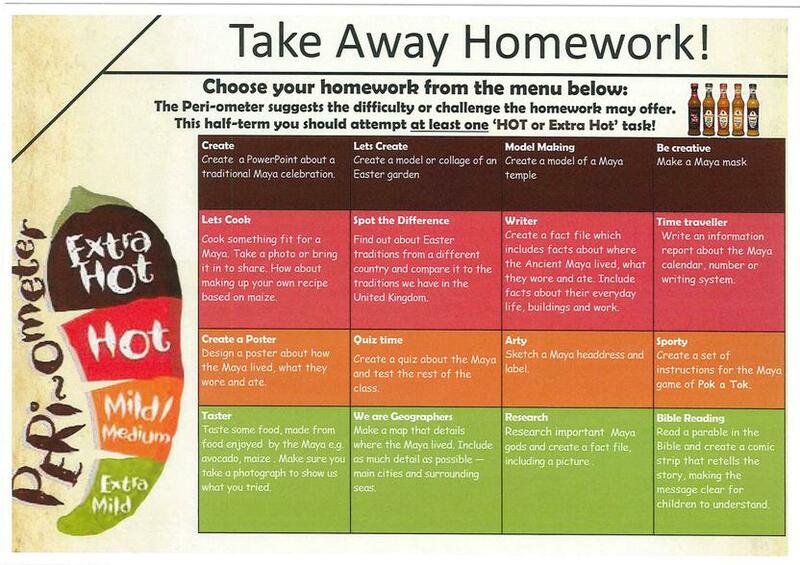 and produced a careful guide to go with it. 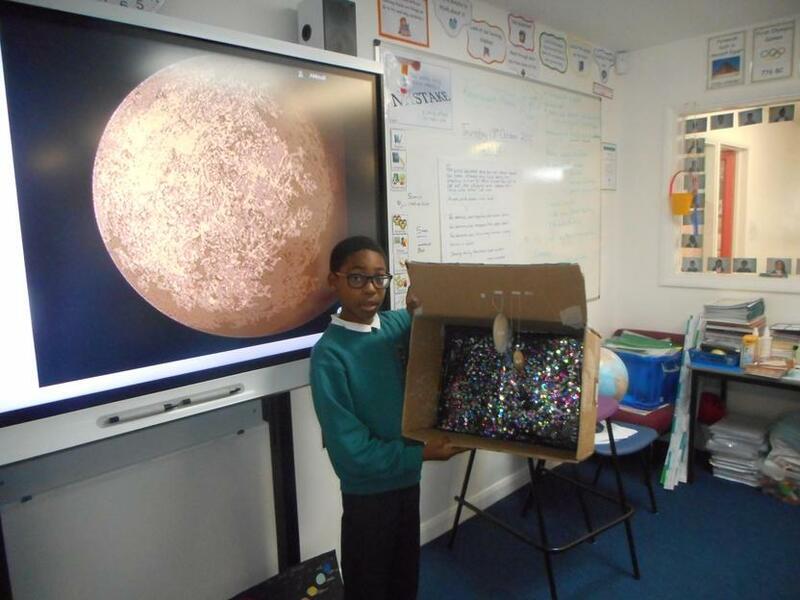 Lennon worked with his Dad to produce this amazing Solar System model. The sun lights up!